Here is a simple dinner to make in no time at all and we had leftovers for lunches the next day. 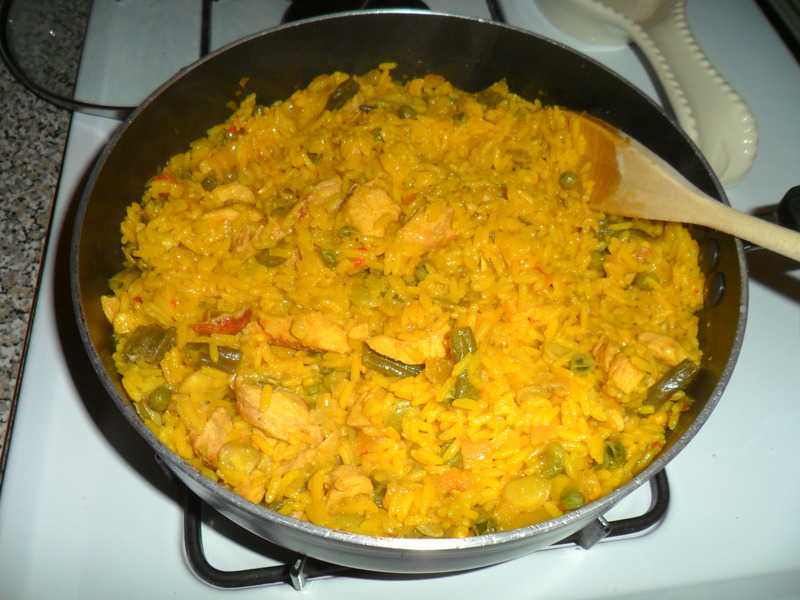 Rice with Chicken – Arroz con Pollo. I made it even easier by eliminating cooking chicken drumsticks and used already grilled chicken you can get at the supermarket. 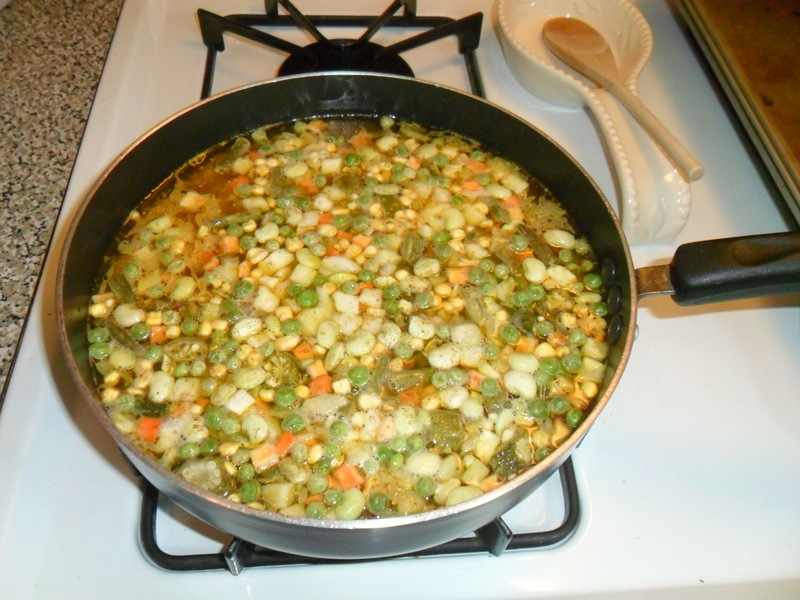 I did not have frozen mixed vegetables, but I did have frozen soup mix – so I used that instead. I have also been challenging myself to use three dishes/pans or less when cooking something. Even if I have to wash something and reuse it again, not having a sink full of dirty dishes at the end of cooking a meal is a plus for me. I started this because I realized having a lot of dirty dishes was a reason I sometimes don’t want to cook! Keeping it to three or under was easy to do with this recipe. 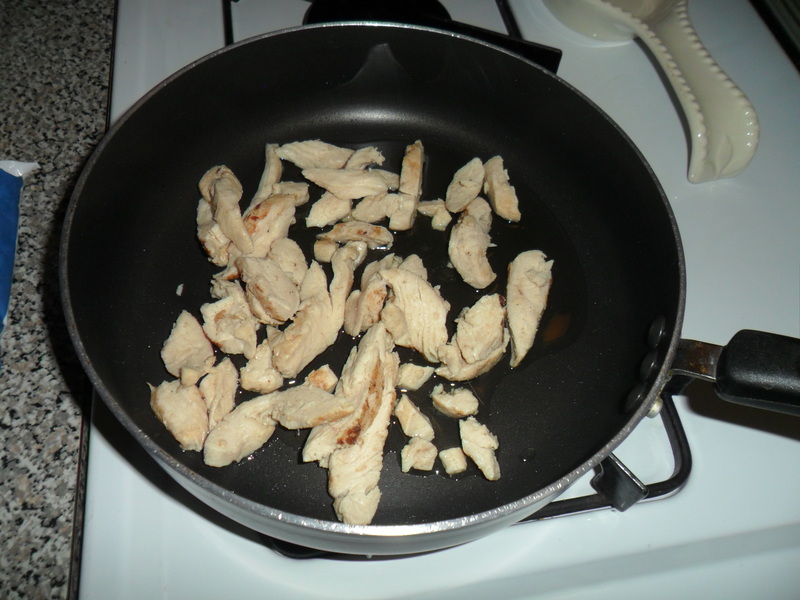 Cook chicken until brown – or in my case, just throw it in the skillet! 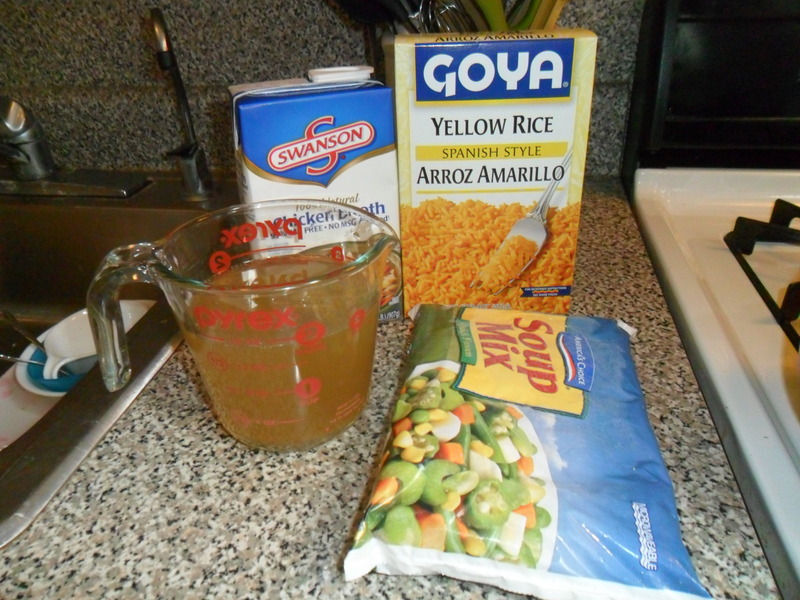 Stir in rice, broth and frozen vegetables. Heat to boiling; reduce heat to medium-low. Cover and cook 25 to 30 minutes, stirring occasionally, until rice is tender and liquid is absorbed. I have been trying to “snack” less while cooking too! So I have been making a salad to eat while cooking (especially desserts!) so I won’t be starving or tempted to eat what I am cooking. 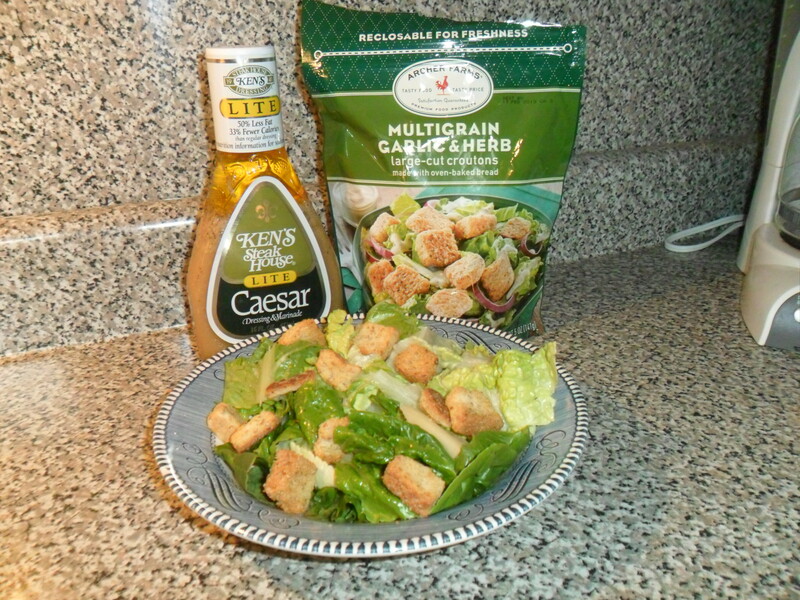 45 minutes, 3 dishes (skillet, measuring cup, wooden spoon) and one salad later – you have yourself a delicious dinner.